Covert video cameras are security cameras made to be hidden in inconspicuous places. Covert video cameras are small in size and some of the most innovative products available in the surveillance equipment industry. Their hidden setup can be used for a variety of purposes and incorporated into most already existing surveillance systems. 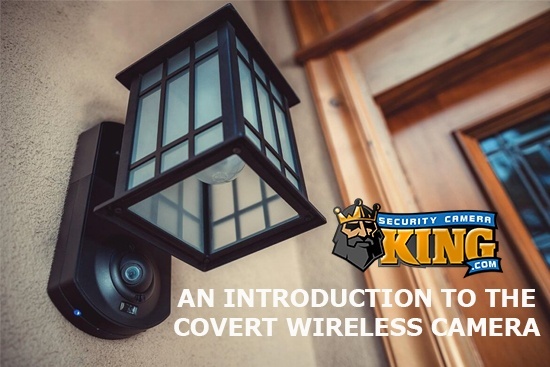 For more information about the covert video cameras I discuss in this article visit our website at Security Camera King. The benefits of secret monitoring for covert video cameras is something residences and businesses have taken advantage of. The ability to identify a thief if you have a team of tutors, nannies, or housekeepers within your house is pertinent to feeling safe while you are away. It also prevents false accusations that can taint long-standing relationships. Discreet employee monitoring is a use covert video cameras are specifically designed for. Whether it be the same aforementioned employees in your home or monitoring a team at your place of business, covert video cameras bring the high-resolution footage to live feeds and can be remotely monitored at all times. Most companies post signs that read “monitoring in effect” to notify their employees, but the camera placement remains unknown and incapable of purposefully avoiding. Covert video cameras are placed in inconspicuous places so as to not attract criminals. It has been shown that criminals often believe a place that employs a full surveillance system holds a better prize than those that don’t. Deterring crime is one of the main focuses for anyone with a full surveillance system to receive complete protection, and it can be accomplished with covert security cameras. The idea of being monitored is not a far-reaching foreign concept to our modern society. More often than not anyone that has personal problems with being monitored is guilty of doing something he does not want to be seen. Do not let yourself become the next victim because of this uncomfortable topic. 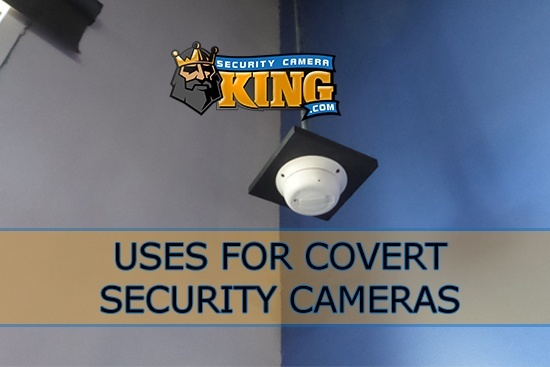 Allow the covert video cameras available at Security Camera King to bring complete protection to your surveillance system. The different types of covert video cameras we have available are listed next. Designed specifically to be hidden in objects or walls, this product can be installed in an inconspicuous place. It is under 3 inches in length and uses the common 12V DC power to run. This category of covert video cameras runs specifically on CVI compatible machines. It has a 2.8mm fixed lens and thrives in any location or property that needs a security camera with a wide angle view, such as parking lots. It comes with a one year warranty and free US-based tech support for its entire operational longevity. Within the package is an owner’s manual, anchors, screws, and accompanying mounting bracket. These covert video cameras are a bullet body design and are made to be hidden. Under 3 inches in length and running on 12V DC power these covert video cameras are TVI compatible. The 2.8mm fixed lens is made to provide a wide-angle view. This product come with a one year warranty and free US-based tech support for the duration of its life. It also comes with an owner’s manual, anchors, screws, and mounting bracket. This covert security camera is a square body design and easily hidden. It provides a clear and crisp resolution with its 3.7mm fixed lens and 1.2/7 inch CMOS sensor. This footage comes in at 30fps and 1080p in a size of 2MP. It does not have an on-screen display, contains no LEDs, and is only 1 ½ inches square. 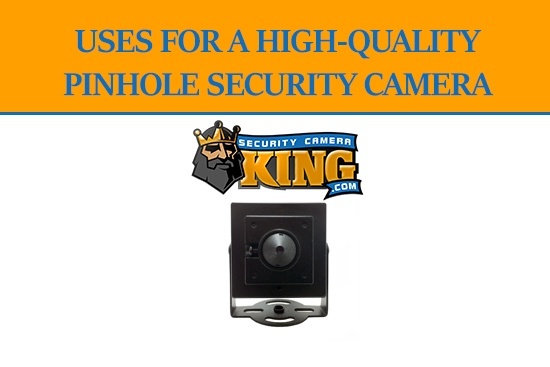 Security Camera King is a leading provider of covert video cameras and other surveillance equipment. We partner with other security companies to bring a complete security protection service to our clients. TechPro Security is a company that specializes in the installation of surveillance equipment and provides expert technical support. Digital Security Guard is a security agency that provides a remote monitoring service as a cheap alternative to traditional agencies and can digitally monitor your properties from a central location. Our team at Security Camera King has continued leading the way in the area of wholesale security equipment and uses our direct relationships with leading manufacturers to keep our prices down. 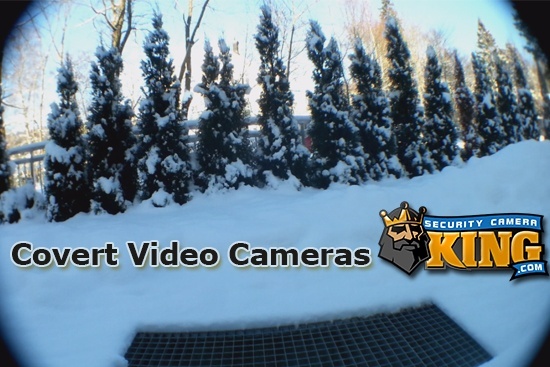 For additional information about us or to view our entire catalog of security cameras and surveillance equipment visit our website at Security Camera King. Contact Us with any additional questions you have regarding our products or services.